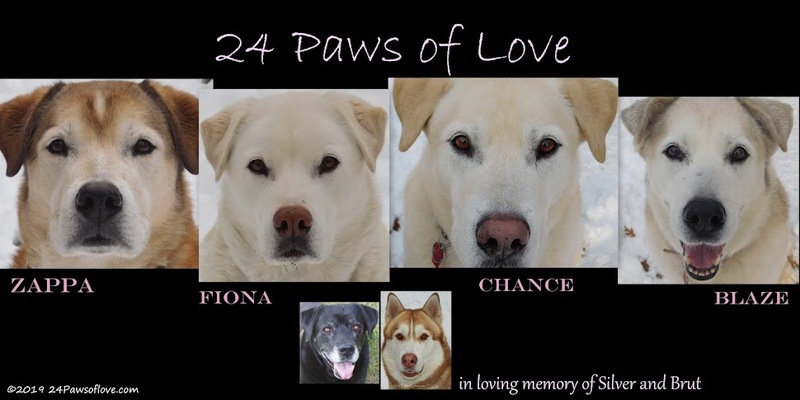 24 PAWS OF LOVE: We Are Still Walking! I started last December to work with Chance on pulling while leash walking. Chance is trained to pull sleds and bikes and thinks pulling on a leash is the same thing. While it was comical and I got a good laugh out of it, being jerked and pulled on a regular basis was no fun. So I began by walking him around the yard in a heel position. Taught him to walk out of the gate, not shoot out of it, until we reached the end of the driveway, then the road. I kept him in the heel position, teaching him turns and constantly changing directions. Stopping each time he pulls and waiting for him to sit and make eye contact before continuing. I only let him on a loose leash every so often along the way to stop and sniff. This where I left you last and we were having great success. I wanted to incorporate loose leash walking, but was waiting for the opportunity. The other day, I tested it out on him with great success. The dog that used to yank me left and right and drag me around, was staying within his end of the leash! It was a miracle! So I went back and forth throughout our last couple of walks between the heel position and loose leash walking. He did fantastic! There were still small pulls and tugs, but nothing compared to our pre-training walks. Chance is also teaching me grave amounts of patience. When he pulls I stop and wait for him to sit and make eye contact. Not just a quick wavier, but a connection, this tells me he is ready for my instruction. The scents he is after may have total control of his brain and it takes him a few minutes for him to come back into focus. And I found, I have time. I'm not going anywhere without him, so I've been giving him that time to readjust and that we aren't moving in any direction until he's fully engaged with me. This is quite a revelation for me as walking has always been about getting from point A to B. I also have accepted that turning around and changing directions is also part of our walks. No matter how much the neighbors laugh at me. This acceptance has made our entire walking experience much more relaxed and enjoyable. I am loving it. On our walk tonight, I stepped up the challenge a little more by walking in a heel position through a wooded trail. I had tried this earlier in training and it was something Chance wasn't up to yet. Today he flew through it with flying colors. He was spectacular. This whole experience have given me a sense of freedom with walking Chance. I have been testing him, but he is also testing me. It is the longest I have went with any sense of consistency. He knows what to expect and understands what I am asking of him, because I asking the same thing every time. What a difference! I am seeing improvement with both of us and there is a real feeling of accomplishment. My husband's way of walking Chance doesn't seem to having any effect on his walking with me. BONUS!! I thought for sure the last time I tried and failed at these attempts of walking Chance, that was it. I was never going to try again. I was doomed trying to keep my arm in one piece every time I walked him. I think sometimes it is all about timing. 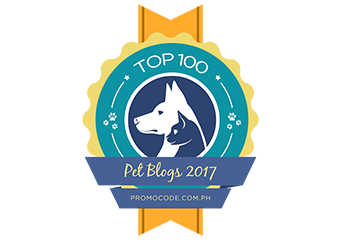 I have found this in many areas with my dogs about training that I have tried over and over. Sometimes the timing just isn't right, whether it be for them and for me, but when you finally click together is one of the best feelings in the world! Now that Chance is such a great walking companion, I don't want to even think about walking the other five who are all in desperate need of the same training. LOL I can't even imagine all the challenges that are awaiting me for the next few years...except that some day it will all be worth it! This is good that your entire walking experience much more relaxed and enjoyable with a sense of freedom with walking Chance. This is quite a revelation for you as walking. You have done so well with Chance. Now he and you both can enjoy your time together on your walks. Have a great weekend. I've saved this to read later in my feed reader. I want to glean it for tips. But I had to stop by to say Congratulations! The loose leash walking and heeling are nothing compared to the increased communication between you and Chance. It is wonderful to read this and to see you both enjoying each other so much and getting good results. It is so hard to be patient sometimes! That is great that you decided to try again with Chance and succeeded! You never gave up hope! Chance seems like a great dog, every minute together is time well spent. my walks are the best part of my day. I am so very happy for you and Chance! This give me hope for my two pullers, Peter and Paul! I have been working with them since reading your post and though I am not getting results yet, you give me hope not to stop! THANKS!! thank you all for the support! I've working at it for so long, it is nice to have some rewards. Good job - those connected walks are worth dying for, huh? I agree completely!